Prints high-quality documents and presentations with ease. Enjoy the fine lines and crisp edges. 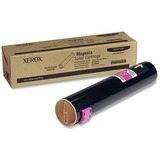 This longer-life toner cartridge reduces the need for user interaction.